As the world of tactical equipment continues to expand rapidly, tactical backpacks are one of the main items that have become a must-have for people who engage in a wide variety of activities. For professionals such as law enforcement or search and rescue, a tactical backpack is an essential piece of gear that can carry and protect all of the tools of the trade. Just the same, tactical backpacks are also useful for those who spend a lot of time outdoors, or anyone who needs to carry a variety of items with them while on the go. Let’s be honest – it isn’t hard to find a backpack. You can pick up a pack at a long list of stores near your home, each with various features and benefits, along with specific drawbacks. 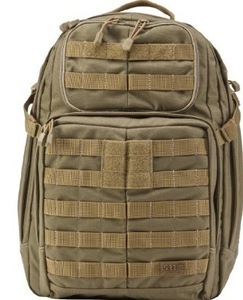 However, just because plenty of stores carry backpacks doesn’t mean they are meant to be used as tactical packs. The packs that are included in this category have specific features and abilities, so you always want to make sure you are looking through the right products that are going to work fit your needs. A backpack that would be great for one person could be nearly useless to another, so take the time to sort through the market until you find the right item for you. This article will cover many of the main buying points that should be considered when picking a quality tactical backpack. Then, we will move on to highlighting five of the best tactical packs on the market today. Hopefully, by the end of this article, you will have all of the information you need to make an informed buying decision. We can all agree there is no point in spending money on a piece of junk backpack that is going to break down after the first or second time that you use it. Therefore, quality should be a no-brainer when shopping for a tactical backpack. If a specific brand or model does not offer the kind of quality needed to last for years to come, then move on to the next option. There are too many great backpacks available today to waste your time on sub-par equipment. So, with quality already on our list of shopping points, what else should we be looking for? 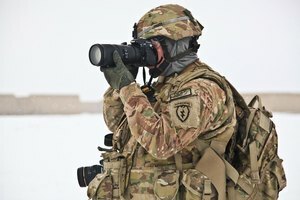 Are there certain features that need to be in place for all tactical backpacks? Again, that is going to depend on your specific use for the pack. Everyone is going to have slightly different requirements for their pack, meaning your checklist is going to be unique to your needs (except for quality, which should apply to everyone). No matter what you are going to use your tactical backpack for, you want it to be comfortable, especially if you’re going to wear it for long periods of time. This is important for those who will be working long shifts while wearing their pack, or for those who are going to use these packs for hiking purposes. Wearing a heavy, uncomfortable pack for long stretches of time is not only uncomfortable, but it could also lead to injuries down the line. There are a few characteristics in tactical backpacks that can go a long way toward making them comfortable and enjoyable to wear. A strap that runs across your chest to connect the two shoulder straps will go a long way toward making the pack easier to carry. This strap will adjust the way the weight sits on your body, and it should serve to take some of the pressure off of your shoulders. A small strap might not seem like a big deal, but it can make a huge difference out in the field. Another strap that runs around your waist can have similar benefits to the chest strap. Moving some of the load onto your legs and hips as opposed to your back will help your upper body feel better, and you should be fresher overall when the day comes to a close. Getting a pack that is a reasonable size is another way to make your overall experience more enjoyable. If you are carrying a pack that is simply too big for the task at hand, you will be making your day more difficult for no reason. As you are shopping, check dimensions carefully and only choose a pack that you are sure is the right size for your needs – not too big, and not too small. Another important characteristic to look for in a pack is the material that was used to construct the bag itself. There are a number of options in terms of materials to pick from, and each has its own unique set of pros and cons. The majority of packs that you come across are going to come from one of two general categories – nylon or canvas. However, within those categories are plenty of subtle variations that can dramatically change the performance of the bag. For example, you could pick a pack that is traditional nylon, or you could get one made from Cordura nylon or even rip-stop nylon. There are so many variations even within classifications of nylon that your best bet is to read reviews along with information from the manufacturer to find out what people are saying about the material used in a specific pack. One thing to remember is that opting for a synthetic material like nylon over something more natural such as canvas is almost always going to lessen the bag’s weight. Synthetic fabrics tend to offer a great strength-to-weight ratio, meaning they can carry plenty of gear without totally weighing you down at the same time. There are two classes of tactical backpacks in terms of loading style, so you will need to think about what kind of gear you are going to pack, and how you would like to put that gear into the bag. The two options you are going to find are top loading packs and front-loading packs. As the name would indicate, a top loading pack is one where you load and unload all of your gear through zippered openings at the top of the bag. Likewise, a front loading pack opens up from the front, so you have easy access to the interior of the pack itself. Which one is the right choice? That, again, depends on your needs. Generally speaking, you will be able to fit more stuff into a top loading tactical backpack, while it will be easier to stay organized with a front loader. Since the front-loading design provides such great access to the interior of the bag, it will be easy to find anything you need and get on your way. That isn’t always the case with a top loader. Reaching down into the bag to find what you are looking for can be a frustrating experience, and you may have to pull out several items before finding what you were after. Of course, there is something to be said for the sheer volume of goods that can be put into a top loader. If you are going on a trip for several days into the woods and need to pack plenty of food and clothes, you might prefer the volume of the top loader to the ease of the front loader. As a good rule of thumb, use this guideline to help make your choice – if you will be in and out of your pack all day, opt for a front loader, and go for the top loader if you will be carrying your bag for long distances in between openings. Some tactical backpacks available on the market today come with a ‘hydration compartment’ (or something similarly-named) where you can place a bladder meant for storing water as you go. Depending on your use for the pack, this can be a great addition or just a waste of space. If you anticipate taking your bag on long hikes or using it in other situations where having access to fresh water would be important, picking a model with a hydration compartment may be a wise choice. The 5.11 Tactical Rush 24 has been loved by nearly everyone who owns it. Despite having a higher price tag – more expensive than some of the other options in this market – this is a pack that has been raved about by people with first-hand experience. The backpack has three pockets on the inside that are mesh to keep your stuff straight and organized, it includes a hydration pocket, and there is even a fleece-lined pocket for your sunglasses. The bag is also compatible with the MOLLE-SlickStick system. Reviewers have commented on how this pack has served them well for both work and play, and how it continues to hold up and look great despite begin used on a daily basis. If you are looking for a product that has won the approval of countless current owners and users, you will want to consider closely the 5.11 Tactical Rush 24 Back Pack. Another product that is MOLLE compatible, this pack has plenty of interior storage space – 1628 cubic inches, to be exact. Plenty of compartments and large zippers make it easy to get your stuff in and out, and the unit is hydration bladder ready if you happen to need that feature. This bag is also significantly less expensive than the first option on our list. The quality of this pack is one of the first things praised by some of the reviewers, noticing that the material is nice, and the zippers seem sturdy. It is noted that this bag could be used for a wide-variety of purposes including as a work bag, a gym bag, a day hike bag, and much more. Some have also indicated that the bag holds even more than you might think at first – which is almost always a good thing. This bag comes in with a similar price point as the previous backpack – and it also offers plenty of features. A hydration bladder allows you to quench your thirst while on the go, and three MOLLE attachments are actually included with the pack. 600D nylon is used to construct the bag, along with heavy-duty zippers that you should be able to open and close with ease for years to come. Some of the comments that have been left indicate that this is a solid option for day hiking, or even for short overnight trips. In all, it is considered by most to be an all-around quality pack that is up to the task of just about anything you could ask it to do. For a bag that is versatile and well-built, but also comes with an affordable price tag, this is an option that you shouldn’t ignore. The most expensive item on our list, this pack is meant to hold up through just about anything you can bring its way. 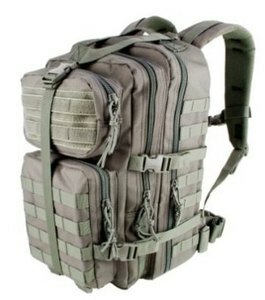 It is also MOLLE equipped; it has an internal honey comb frame, as well as a padded waist strap. 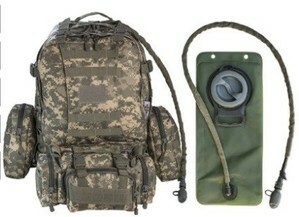 As a range backpack, users have stated that they are able to contain all of their range-related gear within this pack with ease. Also, reviewers have stated that it is easy to get into the bag and find what you need quickly without having to file through all of your stuff first. Most of the purchasers have felt that the cost was worth it in the end. 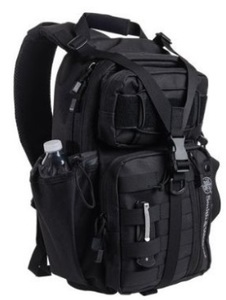 Far from just a bag to hold your guns, this tactical backpack is also capable of taking along all of the rest of your gear such as ear protection, eyewear, range finder, snacks and drinks, and more. The final item on our list is an affordable option. Despite that lower price tag, it still receives plenty of great reviews from buyers. 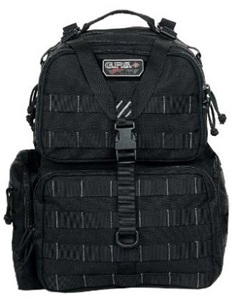 It is MOLLE compatible, has a total capacity of 1000 cubic inches, and is compatible with a hydration pouch. One of the main comments left by reviewers is how this bag offers great quality yet is lightweight enough for everyday use. It is seen as a small bag by most who have put it to use, so make sure it will offer enough space for all of your gear before you make a purchase. If you want a light tactical backpack that can go along with you on a day to day basis without taking up too much space, you might be in luck with the Smith and Wesson Lite Force Tactical Pack. With all of the information provided above, you should be well on your way toward making a buying decision on your next tactical backpack. The list above includes items that are compact and affordable on up to large packs with bigger price tags. By taking the time to think about everything you need this pack to do, and also deciding how much you are willing to spend on the purchase, you should be able to quickly narrow down the field and make a selection that you will love. A good tactical backpack should last you for years of regular use, and you certainly don’t want to have to buy a new one right away because you aren’t happy with the first – so use all of the information available and make a confident and informed selection.